Everything you need to know about water resistant mobiles. Surely you’ve heard about the water resistant mobile, maybe you even have one. What began as a breakthrough and novel functionality is becoming easier to find among the new smartphones. But, do you really know to what extent your mobile phone is resistant to water and what precautions are recommended to avoid invalidating your warranty? Whether you want to take it with you to swim or not, there are some basic guidelines that you should follow. Let’s start by looking closely at IP ratings and how they affect what you can and can’t do. How do I know to what extent my mobile phone is resistant to water and dust? IP 6X: VERY RESISTANT TO DUST. IP X8: PROTECTED AGAINST THE EFFECTS OF CONTINUOUS IMMERSION IN WATER TO MORE THAN 1 METER OF DEPTH. Mobile Water resistant … salty? From the pool? When manufacturers talk about resistance to water, does it matter whether it is fresh or salt water? Not at all.Although some manufacturers boast in different videos of the resistance of their equipment at sea. Submerging any device in salt water can be synonymous with the fact that it stops working. The salt has a corrosion effect that can kill the connectors in a matter of a few hours. Therefore, all manufacturers advise against submerging their devices in salt water. Given the possible effects of salt water on mobiles, even with water resistance, let’s see now what happens with water with chlorine. And again, chlorine is also a strong oxidant, but dissolved in water at normal temperature does not pose a threat. In order for water with chlorine to be able to cause corrosion in metals, the temperature must exceed 110 degrees Celsius. That said, do not worry if your choice to bathe is the pool instead of the beach. How important are the covers of the connectors of my water resistant mobile phone? 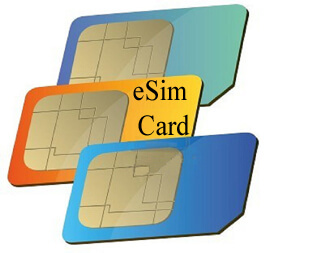 In addition to making sure that you are familiar with the IP rating of your mobile. You should also remember to close all caps firmly before testing their resistance to water and dust. These include the micro USB port caps, the SIM card slot, the memory card slot and the headphone jack. See if the manufacturer placed a lock for this connector at your disposal. Some phones have a micro USB port without a lid. In cases where one of these devices is exposed to water, you should dry it. To remove moisture from the USB port, shake the device several times with the USB port facing down and then dry it with a microfiber cloth. Next, check again the area of ​​the USB port, and if it is still observed humidity repeats the process of shaking and drying. You should also check that there are no hairs or small objects. If you did not, you could seriously damage the device. Do the guarantees of mobile manufacturers cover any type of damage associated with the presence of water or humidity inside? Absolutely not: the manufacturers of waterproof mobile phones, warn in their guarantee conditions that a misuse of the device cancels it. Among the main causes of invalidation of the guarantee is moisture. You must bear in mind that the resistance to water and dust is certified by independent bodies. These have nothing to do with the manufacturers and the tests they undergo guarantee these IP protections. 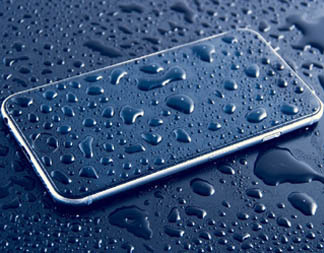 Now, you know many things abouy water resistant mobile. If you have found this article useful and know more info, you can coment below. Share this content about water resistant mobile with your friends! Next articleSmartphone Screen and things you should know now!